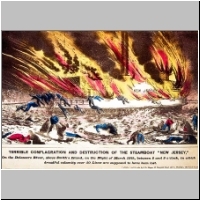 Descriptions of the images follow the thumbnails, and are repeated on the linked .html image pages. 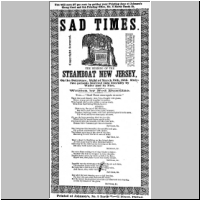 Castner was not good about dating the material in his scrapbooks, and I do not have the time to find other copies of these images in more carefully-documented collections. If you know the dates of any of these images, or anything else, I'd be glad to include this information in updates to this page. 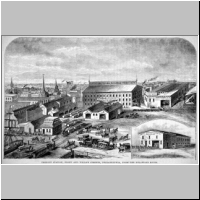 North Pennsylvania Railroad Freight Depot. Signs on smaller buildings read "N.P.R.R. 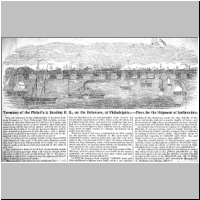 Iron Wharf" and "N.P.R.R. 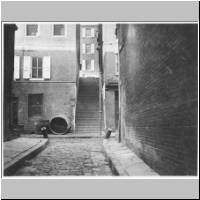 Noble Street." 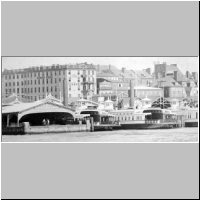 Small sign at wharf reads "Pier 28." No date. 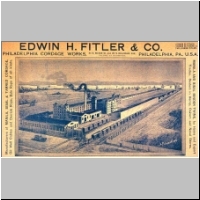 Edwin H. Fitler & Co. Phila. Cordage Works. No date. 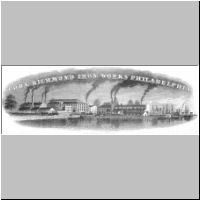 Port Richmond Iron Works. No date. 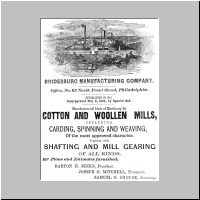 Bridesburg Manufacturing Company. No date. 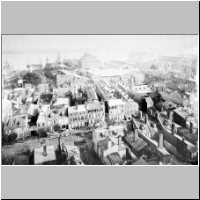 Steam Lines," the ferries "Arctic" and "Baltic," Lawrence Sail Maker, and other details. Shipment of Anthracites. 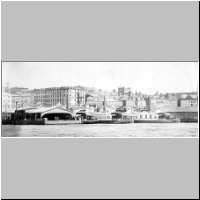 [Port Richmoad Coal Wharves]. Ca. 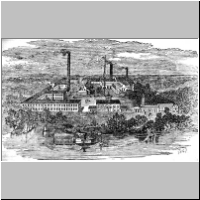 1854. No. VIII. 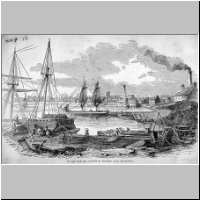 The coal wharves at [Port ] Richmond, near Philadelphia. 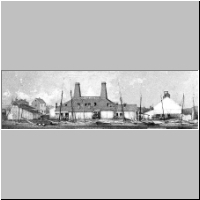 1853. 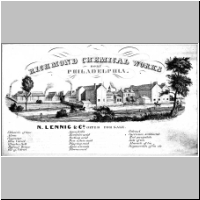 Richmond Chemical Works, near Philadelphia. 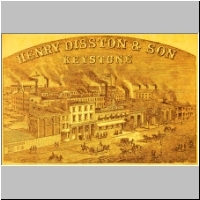 N. Lennig & Co. offer for sale....[Trade card for listing products for sale.] No date.